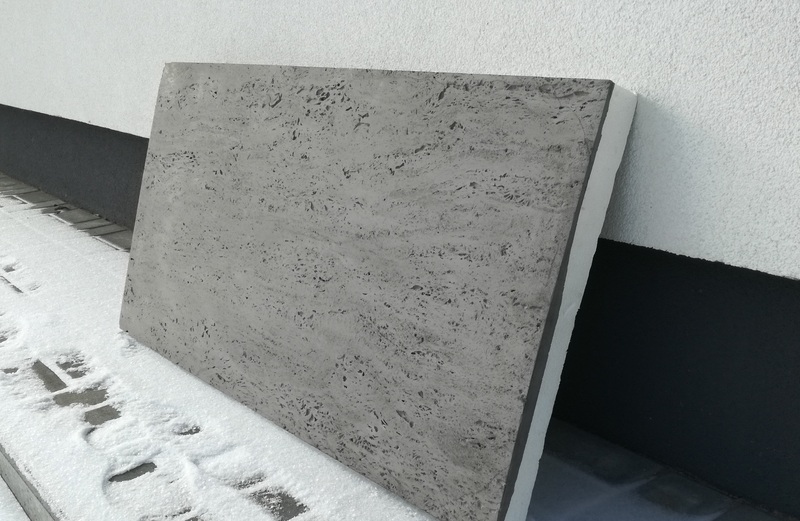 We have born the idea of lowering the weight of the architectural concrete façade, enabling this type of facade to be made in a light manner without special substructures, but so that the thermal insulation of the building can be made immediately. A plate was created as in the picture. Of course, we will make the edges so that there are no thermal bridges or leaks during the execution of such facades. I already know how to do it ?